Members of the families gathered in Capreol in memory of Helen Rahne who passed away on July 16, 2008 in St. Mary's Medical Center, Duluth, Minn. Obituary here. Members of the Rahne family fondly recalled their time when living in Capreol and working at the Moose Mountain mine in the sixties. Jim Rahne from Nashwauk Minn. and Mark Rahne from Big Lake, Minn. and others took the time to view their old homes and play grounds and walked the streets and lanes to recall their past in our town. On Saturday the families, after a supper at the Capreol Legion, attended a Memorial Mass at Our Lady of Peace Roman Catholic Church. On Sunday the family visited the Railroad Museum. 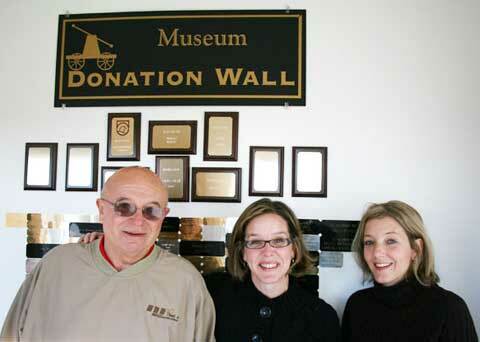 Dennis Rahne with daughters Denise and Darla at the museum. My name is Gwen (Rahne) Brenteson and I was one of the attendees at the reunion. It was wonderful to see all the people of Capreol and to walk through my past both through the town and viewing the city atop of crows nest. My whole family was in awe of how we could go back and see our roots again and how friendly, caring and accomodating the whole town is. The Mellenium Center was perfect for us all to congregate and talk about the good ole days. It's been 43 years since our family moved away from Capreol and 36 years since I've been back but the memories we have will always be cherished. They say you can never go back but I beg to differ. 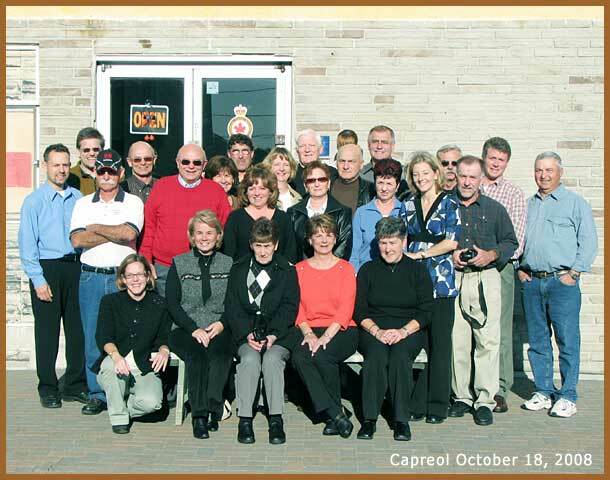 Capreol will always be very special to us. The days of growing up in Capreol came flooding back and our childhood was revisited.